Servicing clients throughout San Diego County and Southern California, Rodriguez Law Offices is available to explain the differences between a living trust and a will and to counsel you on which estate planning document would best suit your individual needs. Name guardians for children. 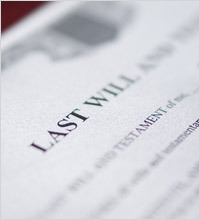 Typically, a will is the document that states who should raise a person’s children if something happens to him or her. The will also usually contains at least one alternate in the event the first choice cannot serve. Naming a guardian for your minor child or children enables you to avoid any potential conflict that may arise between family members who are unable to agree amongst themselves who should be the guardian. As the parent, you and not the probate judge are in the best position to decide who you would like to name as the guardian of your minor children. This selection process may include evaluating which of your family members or friends share the same values as you or who has the closest ties to your child or children. An important point to keep in mind, however, is that whether you die with or without a will, in either case your estate will have to go through the California probate process, which is expensive and time consuming. A common misconception is that having a will avoids the probate process, which is simply not true. An estate that goes through the probate process is subject to steep statutory probate fees for both attorneys and executors. Unless your estate is under $150,000 or is being left in its entirety to your survivng spouse, the only way to avoid probate is with a well-drafted living trust. Rodriguez Law Offices can assist you in deciding whether a will or a living trust is best suited for your particular situation. Please call today for a consultation.